Are you interested in becoming a sponsor for or advertising with the upcoming 33rd CSUN Assistive Technology Conference? Each registered conference attendee will receive conference materials and your advertisement can be printed in our conference program. Learn more about how to increase your exposure during the CSUN Conference by downloading the Sponsorship brochure. For 25 years, ABILITY Magazine has been the leading magazine covering Health, Disability and Human Potential. ABILITY Magazine is ranked in the Top 50 Magazines in the World and distributed by Time-Warner—with a mission to provide new insights into our individual levels of ability. abilityJOBS.com is the first and largest job board dedicated to connecting Jobs Seekers with Disabilities and Employers who are actively recruiting Persons with Disabilities. Job Seekers search for jobs and submit resumes anonymously. Employers post jobs and search resumes of qualified Job Seekers with Disabilities. Adobe is the global leader in digital marketing and digital media solutions. Our tools and services enable our customers to create groundbreaking digital content, deploy it across media and devices, measure and optimize it over time, and achieve greater business success. We help our customers make, manage, measure and monetize their digital content across every channel and screen. Amazon is happy to return to CSUN, this year as a Showcase sponsor. We will have presentations and "play sessions" in our Showcase Suite located in Seaport Ballroom C starting at 10am each day. Also visit us at our side-by-side Exhibit Booths 420 & 422 located towards the back of the Exhibit Hall. Both the Exhibit Booths and Showcase Suite will allow for opportunities to try products for yourself. Members of Amazon's Accessibility team will be available to listen to your feedback and answer questions about our product's Accessibility features. We invite you to join us in Seaport Ballroom C at 10 am on Wednesday, March 1st for our "Amazon @ CSUN" introductory session which includes additional details of how you can connect with Amazon at CSUN to learn about Alexa, Fire TV, Kindle, Amazon Video, Education, Games, and more. At Blackboard, we’re shaping the future of higher education with big ideas that are transforming the landscape. Blackboard is fully committed to delivering products and solutions that conform to the highest levels of global accessibility standards. Our innovative technologies and solutions are bringing learners closer to the knowledge they seek and the potential they can achieve. Stop by Booth 102 (Grand Hall) to learn more about creating an accessible and inclusive eLearning environment. What’s New with Accessibility @Moodle! – Jason Hardin, Balckboard; Marlene Zentz, U of Montana; Aaron Page, U of Montana. Wednesday, March 1 at 9am. Motivating Developers: A three-part solution – JoAnna Hunt, Blackboard; Heidi Jungel, Blackboard. Wednesday, March 1 at 3:20pm. Unpacking course content accessibility: insights, trends and case studies – Nicolaas Matthijs, Blackboard; Ryan DiGiondomenico, UC Berkeley. Thursday, March 2 at 4:20pm. For more information on accessibility at Blackboard, visit us at www.blackboard.com/accessibility. At Capital One, we’re building a leading information-based technology company. Still founder-led by Chairman and Chief Executive Officer Richard Fairbank, Capital One is on a mission to help our customers succeed by bringing ingenuity, simplicity, and humanity to banking. Deque Systems is the leading provider of digital accessibility software and services. Our products include our WorldSpace testing tools and our open-source aXe testing library. The Deque team consists of leaders and innovators in accessibility and software development who work with our clients to make meaningful progress towards digital equality. The Power of Six — DiversityComm, Inc. (DCI) is the publisher of six national diversity-focused magazines: Black EOE Journal, Hispanic Network Magazine, Professional Woman’s Magazine, U.S. Veterans Magazine, Diversity in STEAM Magazine & DIVERSEability Magazine. Each has its own website, distribution, and digital edition along with a bi-monthly award-winning e-newsletter. If your goal is diversity branding, global diversity, diversity recruiting or supplier diversity, look no further. With 25 years in diversity & inclusion advertising, each publication reaches over two million readers. We promote the advancement of business & employment to ensure equal opportunity. We are dedicated to inform, educate, employ and provide equal opportunity within corporate America in order to create a more diverse workplace. We have unprecedented participation & partnerships at over 300 diversity-focused conferences. Global D&I, Diversity Branding, Employment, EEO/Compliance, Disability, Veteran-Friendly Branding, Recruitment & Business to Business Strategies, then the Power of Six is here for YOU. We are proud to support the CSUN Assistive Technology Conference again in 2017! Join us in our showcase suite, Seaport B, where top industry professionals will share information and experience through their presentations. For a complete session schedule, please visit our events page at www.freedomscientific.com. Our participation also extends to the exhibit hall, where we invite you to join us for demonstrations, product information, giveaways, and more - booths 205, 305, and 405. Join Google's accessibility and engineering teams in our Showcase Suite in Seaport Ballroom "G" for general session presentations on a range of topics, with product spotlights on Android, Chrome, G Suite apps, Liftware, YouTube, and more. For a full list of our sessions, check the CSUN Conference program schedule. Also, join us in our Exhibit Booth #713 to see live demos, ask questions, and provide feedback! For more details on Google’s mission to organize the world's information and make it universally accessible and useful, visit the Google Accessibility website. Microsoft is committed to creating and delivering technology that empowers people of all abilities. We know that people interact with our products in diverse ways. So, we're working hard to ensure our products are designed with accessibility in mind and provide a great user experience for everyone. For more information, please visit our website: http://microsoft.com/accessibility and be sure to stop by Seaport Ballroom H to see presentations about the accessibility work being done throughout Microsoft. "Oracle is committed to creating accessible technologies and products that enhance the overall workplace environment and contribute to the productivity of our employees, our customers, and our customers’ customers." With more than 420,000 customers—including 100 of the Fortune 100—and with deployments across a wide variety of industries in more than 145 countries around the globe, Oracle offers a comprehensive and fully integrated stack of cloud applications, platform services, and engineered systems. To learn more about Oracle's Accessibility Program, including our portfolio of accessible products, visit Oracle's Accessibility Program website. Are you looking for a rewarding career with a company that provides you with a chance to grow professionally, give back to society AND earn a competitive salary and benefit package? Stop by SSB BART Group's Career Fair on Wednesday between 8am and 9am in the SSB Suite (Harbor I) to find out more about exciting career opportunities with SSB! Bring your resume and chat with an SSB manager about our open positions. If you can't make it to the Career Fair, stop by the Careers table outside our Suite any time during general session hours. 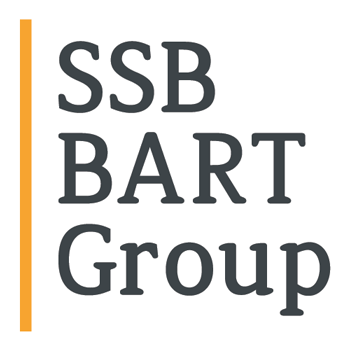 For two decades, SSB BART Group has provided digital accessibility compliance solutions for thousands of organizations in the private and public sectors. SSB's solutions ensure conformity with relevant laws, standards and guidelines, including the ADA, WCAG, CVAA, AODA, and Mandate 376, as well as Section 504 and 508 requirements. With a comprehensive suite of products and services designed to support effective, long-term accessibility programs, SSB helps clients address the full scope of accessible technology regulations with software, consulting and training to ensure compliance in desktop, mobile and electronic document systems. SSB is pleased to offer a wide variety of session topics at this year's conference, including laws and standards updates for Section 508, the ADA, CVAA, and ACAA, accessibility testing, accessible development, ARIA, gaming accessibility, accessibility trends, and more!